Schubert’s last opera,Fierrabras, contains some fine music but it a challenge to present. Voicebox: Opera in Cancert rose to the occasion. There are frequently cuts made in some of Voicebox’s performances and I was wondering if perhaps the overture would be cut. It turns out the Aradia Ensemble didn’t play it but played the Scherzo from Schubert’s Octet, D. 803 instead. I suppose they should be docked points for this, but I rather liked it. Its galloping rhythm has a resonance in the chivalric plot to follow. The performers sang in German but spoken passages were in English, a pragmatic decision that is not uncommon. Another change – and a very beneficial one – was to alter the dialogue to highlight the salient points of the tangled plot. (I assume Voicebox general director Guillermo Silva-Marin is to be credited with this.) It opens at the court of Charlemagne (called Karl in the work) where Fierrabras, son of the Moorish Prince Boland, is being held captive. (The background is the customary warfare between the Franks and the Moors.) He is not imprisoned but treated more as a houseguest who cannot leave. It turns out that some time before, when in Rome, had had fallen in love with Charlemagne’s daughter, Emma. She, however, in love with a knight, Eginhard, who has so far failed to accomplish anything dazzling enough for the great king to consider him as a possible son-in-law. Due to a complicated circumstance (there are several in the too-busy plot) Charlemagne becomes convinced that Fierrabras and Emma are lovers. Misunderstandings abound. In the second act we are in the court of Prince Boland, and we find out that his daughter, Florinda, also fell in love on that Roman trip with the Frankish knight Roland, who is also in love with her. The Frankish knights (Roland and Eginhard) arrive as envoys and are seized by Boland and sentenced to death. After a good deal of turmoil things are settled, the two pairs of lovers are allowed to marry, and Fierrabras, who turns out to be the most chivalrous of all, has to see his love, Emma, married to Eginhard. As has become the happy norm with Voicebox, the cast is both well-chosen and well-rehearsed, with everyone off-book. Four of the seven main roles were given to promising young singers and all did very well. 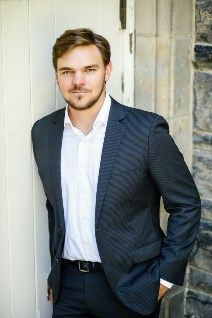 Tenor Matthew Dalen, who is about to enter Montreal Opera’s Atelier Lyrique, made a terrific impression in the title role. The two central sopranos are both recent graduates of opera programs, Amy Moodie (Emma) from the University of Toronto and Jocelyn Fralick (Florinda) from the Royal Conservatory. Ms Fralick truly stood out in Florinda’s harrowing scene when she enters the prison to help Roland escape. Baritone Evan Korbut (Roland) also gave a committed, accomplished performance. The three well-established singers (who can all be counted on to deliver the goods) were tenor Lawrence Wiliford as the lovelorn (and eventually heroic) Eginhard, and baritones Alexander Dobson and Justin Welsh as the stern, but in the end compliant, fathers. There are a lot of very fine duets and ensembles in the piece, especially at dramatic high points, and they were performed with conviction and brio. There is also a lot for the chorus to sing (in fact at times we seem to have entered oratorio-land), and Robert Cooper’s group is up to its normal high standard. At least a chamber-size orchestra is called for, but the 10-member Aradia Ensemble were more than adequate in the 500-seat venue. Kevin Mallon, who orchestrated the opera for this performance, held things together very adroitly. One minor cavil: the surtitles got out of synch and sometimes disappeared for great stretches. But we would rather listen than read, wouldn’t we? If a few plot points went missing it was a small price to pay for such an enjoyable afternoon.